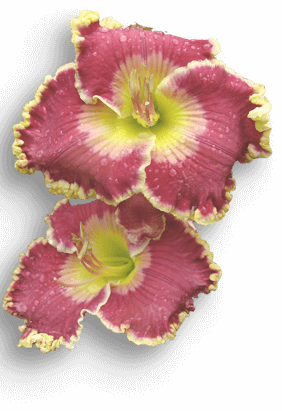 Each registrant is receiving a complimentary daylily from Jamie Gossard for attending the conference. Please express your appreciation to Jamie! Also special thanks to John Kinnebrew, Dan Hansen and CJ & Virginia Gregory for opening their gardens to you for the Bus Tour. Many local hybridizers will be open. A list will be posted separately. Registration Fee: Includes Friday pizza, Saturday bus tour, lunch and dinner: $70 per adult, no charge for AHS Youth. Make check payable to: Central Florida Daylily Society. Mail check and completed registration form (next page) to: Trish Titer, 2450 McMichael Road, Saint Cloud, FL 34771. For Registrations sent after April 15, 2019 there is a $10 late fee. Fairfield Inn & Suites, 4735 Helen Hauser Blvd, Titusville, FL 32780. This is a modern and clean hotel located 15-20 minutes away from the meeting hall. A block of discounted rooms is being held for attendees at a rate of $124 /night plus tax. Free Wi-Fi and hot breakfast buffet is included. To receive the discounted rate, call 888-468-4934 and reference “Central Florida Daylily Society” when making your reservation. Rooms need to be booked by March 26th to receive the discounted rate.